A bit too many pastries this season? Sprung another whalebone in that corset, did you? Not to fear. The empress has a solution. Drinking vinegars! You hipsters might think you invented with your kombucha and so forth, but the truth is, the Victorians were well ahead of you. Aromatic vinegars were all the rage amongst the fainting couch set. We knocked back pints of the stuff for everything from croup to dropsy. From douche to diarrhea. The most common use around the Hof was for personal hygiene, but as with everything “society,” a whole jewelry industry cropped up around the delicate nature of the need to carry de-stinking potions around on one’s person. In the 19th-century, vinaigrettes were all the rage! 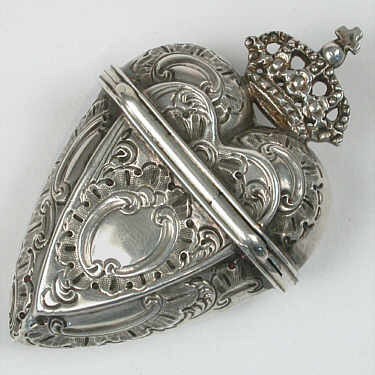 You held these attractive silver cases, or hung them from a chain, and inside was placed a sponge soaked in aromatics. Vinegar, herbs and perfumes. Let’s say you passed a gutter full of human waste on one of your lady walks. No need to faint! Just hold the vinaigrette to your nose and breathe deeply. Et voilà: carry on as usual rather than needing to be scooped up on a stretcher and taken to hospital for reviving. As you tiptoe out to the ball this evening, perhaps you, too, might want to soak some aromatic vinegar up into a sponge and carry it in a metal purse. You never know what sort of conundrum or escapade awaits you on the night famous for debauch.